Download "Media Communication. 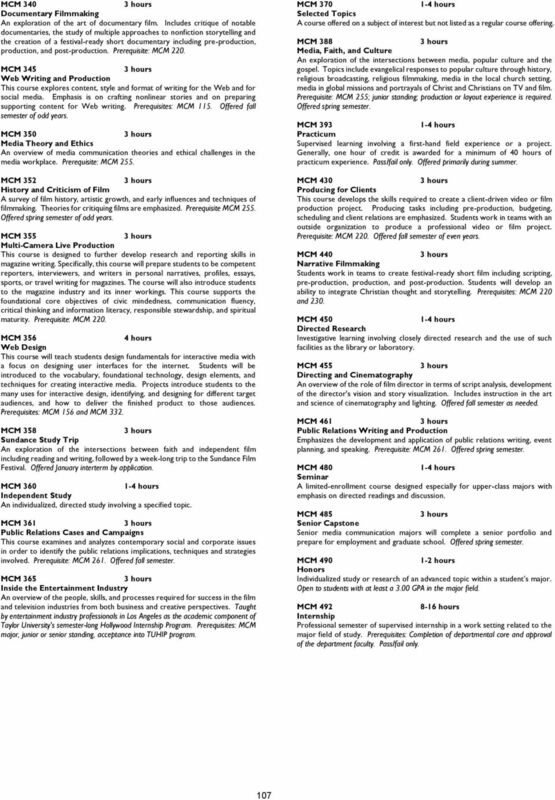 Film and Media Production (BA) Film and Media Production/Systems (BS)"
COURSE TITLE COURSE DESCRIPTION CA-00X COMMUNICATION EXIT INTERVIEW All graduating students are required to meet with their department chairperson/program director to finalize requirements for degree completion. Instructor Margaret Rakus, M.A., Chair Associate Professors Jon Bekken, Ph.D. and Katherine Lehman, Ph.D. Assistant Professor Heidi Mau, M.F.A. 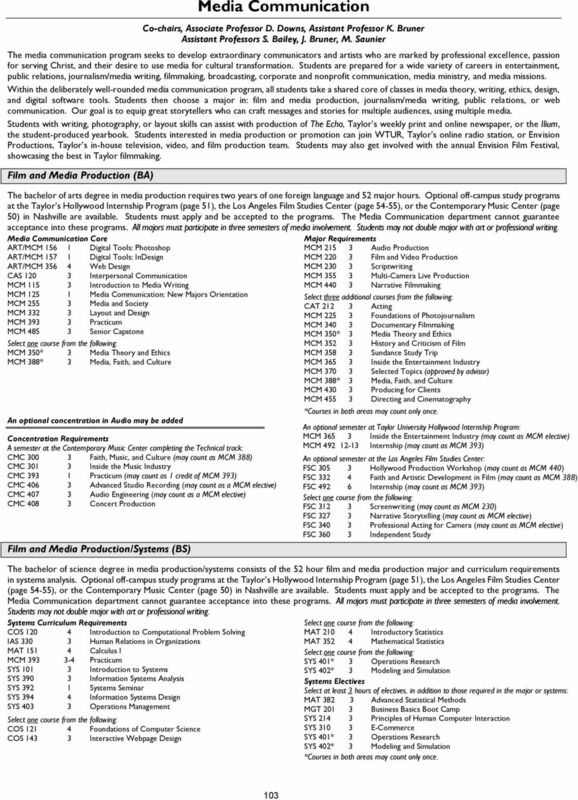 2008 PROGRAM OUTES ASSESSMENT SUMMARY REPORT PROGRAM: FILM & VIDEO AAS DEGREE DATE: 8 FEBRUARY 2008 DEMONSTRATION OF LEARNING: What assignments or projects demonstrate student learning outcomes are achieved? COMMUNICATION. COMMRC 0005 INTERVIEWING AND INFORMATION GATHERING 3 cr. COMMRC 0310 RHETORICAL PROCESS 3 cr. 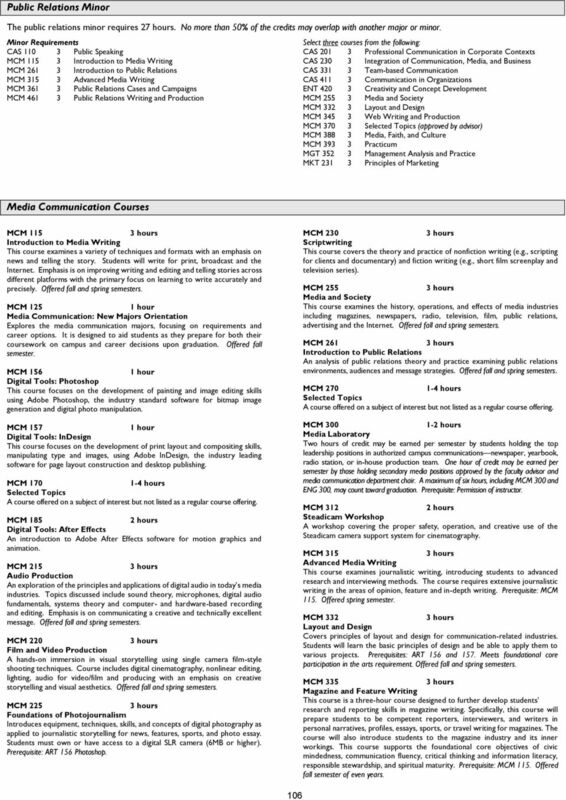 COURSE DESCRIPTIONS COURSE NUMBERS. 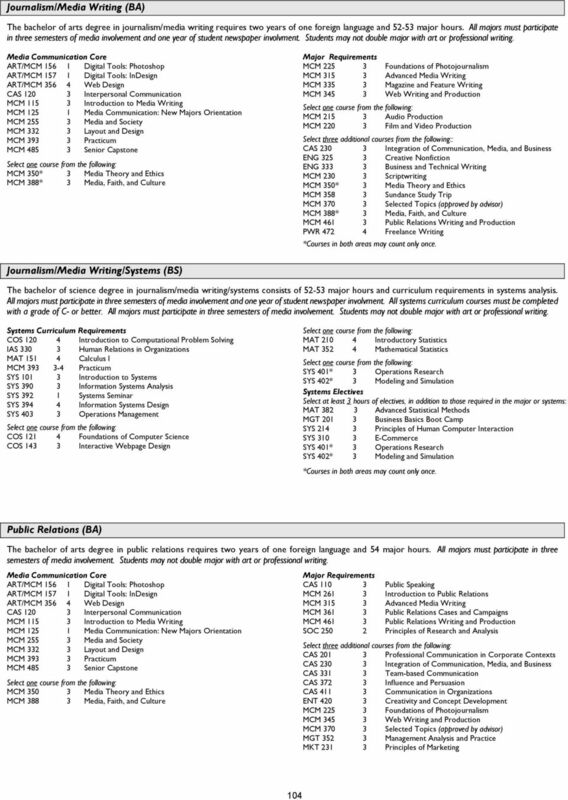 The course-numbering system indicates the college level at which courses are normally taken. Criteria A. Appropriateness to Mission. COMMUNICATION DEPARTMENT 126 Jennings Bldg. (435) 652-7638 http://dixie.edu/cnm/ To find faculty and staff phone numbers and email addresses, please consult the University Directory: http://www.dixie.edu/directory/directory.php. 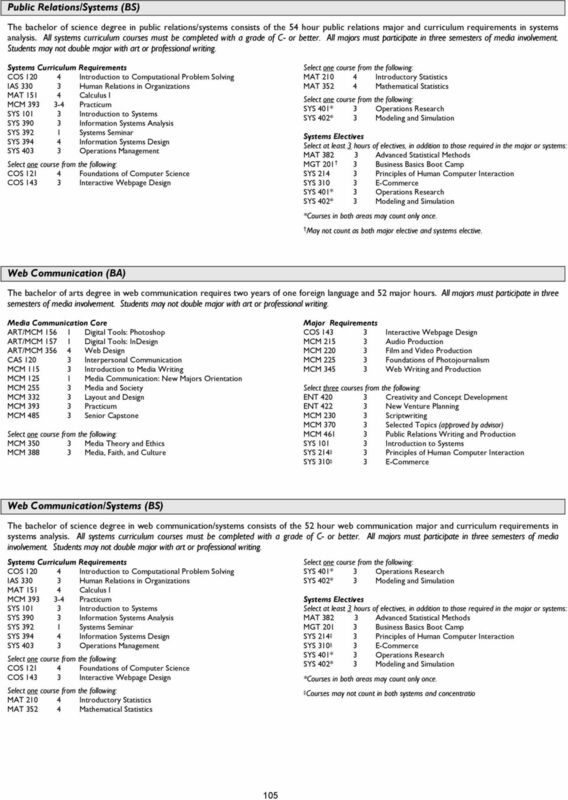 Course Conversion Crosswalk New Undergraduate MSCH Courses to Former CMCL, JOUR, and TEL Catalog #s. CASE Attribute. Film and Television 327 Film and Television Film is a universally recognized medium that has a profound impact on how we view the world and ourselves. Filmmaking is the most collaborative of art forms. multimedia design digital at The Lander Colleges of Arts and Sciences To register or for more info 212.463.0400 x5460 www.touro.